Everything we experience, in each of our seconds of perception, is an intersection of time and space. Physicists call these “events.” They need not be significant. They are four-dimensional coordinates. Though, we are, if honest with ourselves, always waiting for coincidences to dog-ear the ceaseless events, or looking backward to find points that we later learned had coincidental significance. What elevates some of these to coincidence and smooths others into the rhythm of normalcy — until they may be called upon by future linked intersection? 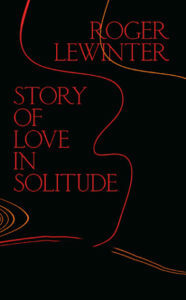 Roger Lewinter settles into this question in two serene novels, his first two books in English translation, The Attraction of Things and Story of Love in Solitude. Both diminutive books incant, with a singular voice of prose, the being of a limitless morass of people, objects, works of literature, and intellectual concepts all living in time, awaiting respite from their isolated vectors. Hieronymus Bosch is a pivotal figure in The Attraction of Things, both as a person and an intellectual concept. The narrator translates a German text asserting that Bosch’s The Garden of Earthly Delights does not depict the fall of man, but details a heretical notion that true salvation is found in a particular, unspecified, form of sexual relations. I finished reading Lewinter’s books on the 500th anniversary of Bosch’s death. Is it coincidence that for 500 years the churning dirge of physics led this book to fall in my hands, for my time to be managed in such a way that I finished it on this precise day? Or is the coincidence more that I happened to slow my scroll through Twitter at the precise moment that someone mentioned it was the 500th anniversary of Bosch’s death? We don’t know of all the things that don’t befall us. The narrator of Lewinter’s two books exists in time, but does not wholly pass through it. He is more concerned with time as a location, an event, than time as a measure, or as duration. This conception is largely developed in the style of the prose, which I will discuss in detail shortly, but also through the inflection of the style by its vaguely narrative content, which, like the specification of a material, must be apparent before its methods of assembly are determined. On Saturday, April 23, I went to the flea market, telling myself that what I would find would be my father’s sign, and as I was arriving in front of the stand of the Ange du Bizarre, to whom, seven years earlier, I had precisely specified the shades of the Kashmir shawl that I would ideally want, Sabine was unfolding on the ground, to lay out her objects on, ragged but shining, the very one, which I bought for 160 francs: an embroidered square from which emerged, fringed in black, commanding the space in its fullness, a Saint Andrew’s cross whose arms erected at the center a cross elongated into domes — white, black, green, and turquoise blue — , gathering, at their junction, around the black heart formed from a square crossed by a diamond, eight concentric swirls, of precious stones and flesh at once: vermilion, yellow, purple; turning crimson to the eye, shot through with fire. The second manner Lewinter’s narratives reflect on the intersections of coincidence is through considering its antonym, the insignificant passage of time, as it is observed in the decay of the most languishing operand, human life. It should be noted that, in light of the loving care of the shawl description, Lewinter’s overwhelming urge to cement its precise physiognomy in prose, we do not have a sense of what the narrator’s father looked like. In reading Lewinter I thought often of other writers’ fascination with the coincidences of human relationships, including the burden of those stretched through history. Sebald came racing to the forefront. As unpredictable as people and human relationships are, which tend to make their intersections more treasured, they are different to the collector, to Lewinter, for whom it is things that seem more happenstance and rarified, and it is they that are celebrated where someone like Sebald would place humans. In The Attraction of Things, the human things and the collected things seem quite separate, one in lieu of the other. 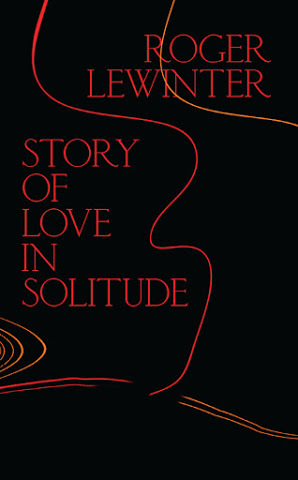 In Story of Love in Solitude, the relationships focus on the collector’s urge for control over the inexorable change of living things, whether it be a spider in his apartment, a camellia that had belonged to his parents, or a produce vendor at the market. He follows the unpredictable march, awaiting, fighting for, a place where the balance will hold, where an intersection can bloom into an equilibrious relationship between two things, that always lies in the death of one of the operands. The ethos of both books is relentlessness, that these things are always “coming”, that they abide through our meager durations, and that we are the accidents. In philosophical literature this is sometimes called the “block time” or “block universe” perspective, thinking of all space and time as a single existing block of spacetime . . . Rather than carrying a picture in the back of our minds in which time is a substance that flows around us or through which we move, we can think of an ordered sequence of correlated events, together constituting the entire universe. Time is then something we reconstruct from the correlation of these events. We’re not committing ourselves to some dramatic conceptual stance to the effect that it’s wrong to think of ourselves as embedded within time; it just turns out to be more useful, when we get around to asking why time and the universe are the way they are, to be able to step outside and view the whole ball of wax from the perspective of nowhen. When Lewinter writes, “ . . . connection by means of cross-invasion, where the question of knowing who is who ceases to be relevant — because one becomes the other, whom he fulfills . . . ” he is reflecting on the literary form of Mechanism in his prose style, albeit a contemporary form of such reductionism contextualized by the elegance of potential oneness found in string theory, or the nature of time being determined by the disposition of a particle. Considered in the embodiment of prose, this oneness is a oneness of form and it is a oneness of time. The most immediate thing one notices in Lewinter’s writing is the preponderance of em dashes. The em dash glut could seem a gimmick at first, and it is, undoubtedly. Omnipresent in the two books, this is something that Lewinter has adopted as his “thing”. But an application this skilled, and this relentless, should be considered for what it does, less than what we think it might long to do (which is why we disgust so much in gimmicks, they long to do things that we know they can’t). An average sentence, in a German newspaper, is a sublime and impressive curiosity; it occupies a quarter of a column; it contains all ten parts of speech — not in regular order, but mixed; it is built mainly of compound words constructed by the writer on the spot, and not to be found in any dictionary — six or seven words compacted into one, without joint or seam — that is, without hyphens; it treats of fourteen or fifteen different subjects, each enclosed in a parenthesis of its own, with here and there extra parantheses, which re-enclose three or four of the minor parentheses, making pens with pens; finally, all the parentheses and re-parentheses are massed together between a couple of king-parentheses, one of which is placed in the first line of the majestic sentence and the other in the middle of the last line of it — after which comes the VERB, and you find out for the first time what the man has been talking about; and after the very — merely by way of ornament, as far as I can make out, — the writer shovels in “haben sind gewesen gehabt haben geworden sein,” or words to that effect, and the monument is finished. The beclausened sentence is not rare in French letters. The memory projects of both Proust and Roubaud are saddled with more commas than periods. Claude Simon regularly spun his sentences into Rumpelstiltskinian thickets for pages. But Lewinter is doing something new with the morass. Rather than the sense of articulate informality in Proust and Roubaud, rather than the diffuse and topographic prose in Simon, Lewinter’s prose resembles the temporal and causal diffusion of a cut-up. It is disconcerting and frequently disruptive to the point of incomprehension, of jettisoning any sense of burden on one moment producing the next in time. The implications of actions are scrambled and the disposition of objects in time are loosened. The em dash and the content it separates are not as jarringly discontinuous as a cut-up; it is still highly contingent and masonry. But like Perec’s Life: A Users Manual, the masonry of events are not cataloged in sequence, more in the scatter of recollection, in an additive fashion, and sometimes temporally subtractive, with little concern or editorial valuation of its consequence on the primacy of the seed statement. In prose viewed with this eternalism, a perspective that Carroll describes as holding, “that past, present, and future are all equally real,” the mechanism of what we understand to be our relationships with people, things, and space becomes expressed in the diminishment of contingency. 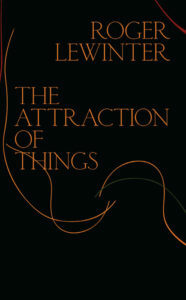 Through indulgence in coincidence Lewinter asserts that the block time of events lacks conscious motives for hierarchy. This accounts for both the nihilism of the truth — that all is oblivion —, and the inescapable inflection of our perceptions — that desire (collecting and love) is the only thing that can mark an intersection. A camellia which I identified — placed, in my parents’ living room, opposite my office —, in November 1978, one week after the death of my mother, had withered on the stalk, suddenly losing its leaves — I had given it to my parents, a dozen years earlier, for their anniversary, one December 27 — , while a second camellia, which was bought for the same occasion the following year and which my mother, six months later, when it wilted — I said she ought to throw it out soon —, not having a green thumb but remaining obstinate, had been able to bring back to life, flourished; from then on, having misunderstood what is beyond understanding, gripped, to the same degree that the second responded, by the impulse to buy a camellia that would restore the first — in December 1980, and whereas until then its buds had fallen, a sudden passion elating me, it had produced two long-blooming flowers, to flower again regularly when I had taken it home with me, in November 1982, shortly before the death of my father —, restraining myself: the one, however, that I saw, on the first of February 1986 at eight o’clock in the morning on my way to the flea market, in front of Fleuriot, riveting me on the spot — it was a shrub more than three feet high . . .
At first, Lewinter’s use of the em dash, and the way that it binds time and space, brings out about sympathies to the lauded long take in cinema (go read this interview with Janice Lee if you are interested in a more voracious catalog and perspective http://www.3ammagazine.com/3am/observations-on-the-long-take/). But the reason it comes to mind here is more specifically thematic than formal. I think of the film Russian Ark. Certainly it is the most bravura of the long takes, the entire 99-minute film being one steady-cam shot meandering through the Hermitage in Saint Petersburg. Lewinter’s sentences are not remarkably long, not bravura, simply noticeably long. There is truly nothing interesting about the long take or the long sentence in and of themselves. These feats become noteworthy when they serve to illuminate an aspect of the conceptual project that would not percolate forth otherwise. In the case of Russian Ark and Lewinter’s works that is, inextricable from the duration and continuity of these tactics, time. Perhaps because of the difference in medium, but certainly because of the difference in tonal use of the duration, the two works manifest time very differently. Russian Ark, in its voyeuristic invaginations, sees time, although on a grand scale, in a quite a human way, as unfolding. Three hundred years of Russian history play out. However, the continuity of human life, the continuous gaze through history, makes it feel that, although our lives are very long, that that history is recent, and knowable, and within the realm of comprehension. Where durations like the time since the big bang (14 billion years) are silly and inhuman, the notion that only forty generations have passed since the Magna Carta was signed, seems easily within our grasp. Very similar in ethos, but different in its physics, Lewinter asserts that time, as a sentence, visible in its extent on the page, durational in its reading but not in its image, is a mass, present all at once, although aggregated like granite. The signing of the Magna Carta is not so long ago, it is present now. But the physics of Lewinter are far more inclusive than Russian Ark; the Big Bang is also present now, which of course we know it is, from our vantage, reaching us in the lugubrious protraction of electromagnetic waves from the cartographic precipice of time. Lewinter is a prose stylist of lithic luminance. These tiny books are blocks. 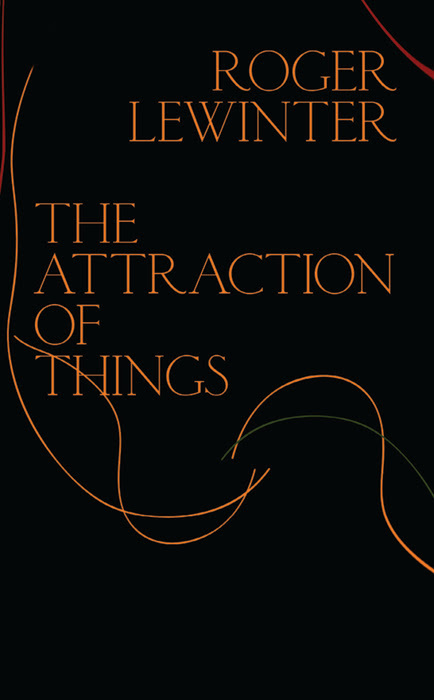 In a way, in a type of reading that is open to the spirit of the book as being in the world, Lewinter’s prose argues that literature, in its abstraction, is best to embody the coincident sameness of all manifestations and phenomena, whether they be objects, living things, or more matrix like as time or relationships, where other forms of static art exist more solely as material reflections, as things themselves, and do not as much smear, do not empty themselves so as to contain other things. John Trefry is an architect and the author of the novel PLATS, the caprice THY DECAY THOU SEEST BY THY DESIRE, and the forthcoming APPARITIONS OF THE LIVING, his work has appeared on The Fanzine and forthcoming on Black Sun Lit. He contributes to Entropy Magazine and Minor Literatures. He lives in Lawrence, Kansas.